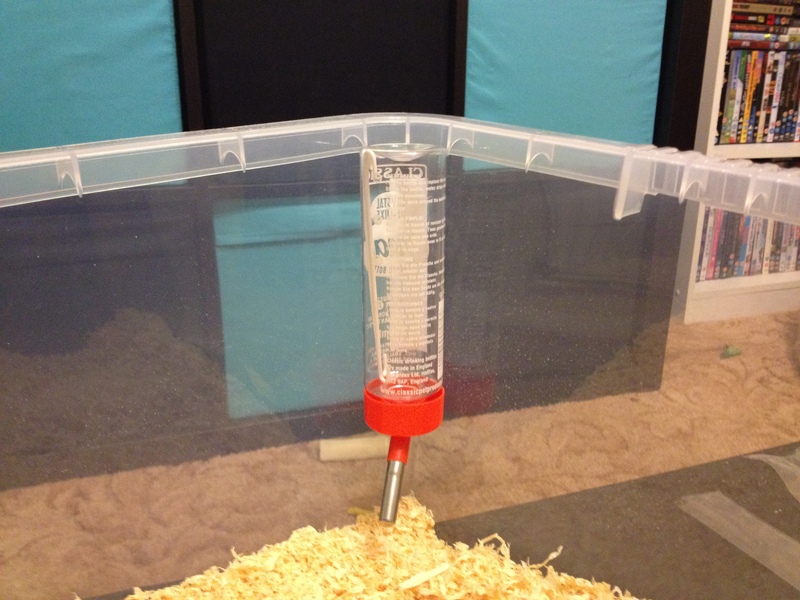 Here is our tutorial of how to make a hamster cage, also called a bin cage. These can be an excellent alternative to the cages that are on the market. 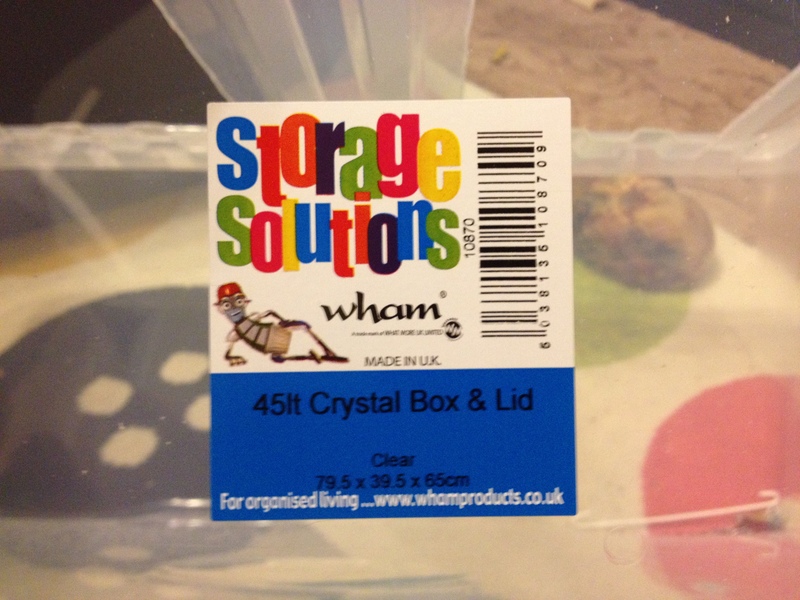 They often offer more space for your money and they can be adapted in so many ways to suit your hamster. The cage in this tutorial is going to be used for our two robos. Firstly you need to go shopping for all of the supplies you are going to need. Choose your storage box, for our pair of robos we used a 45lt box. I wouldn’t really recommend anything smaller than this as hamsters are very active, but Syrian hamsters would benefit from some extra height so that you could add platforms and lots of toys. 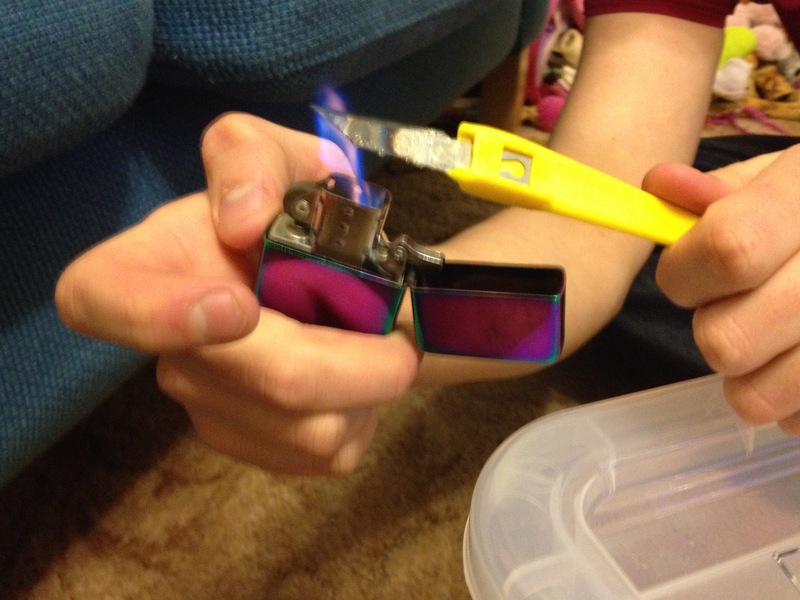 Use the lighter to heat up the knife and then use the heated blade to cut through the plastic. By heating up the knife it makes it much easier to cut through the plastic and reduces the risk of splitting. Keep heating the knife and making small cuts until the planel/panels are completed. 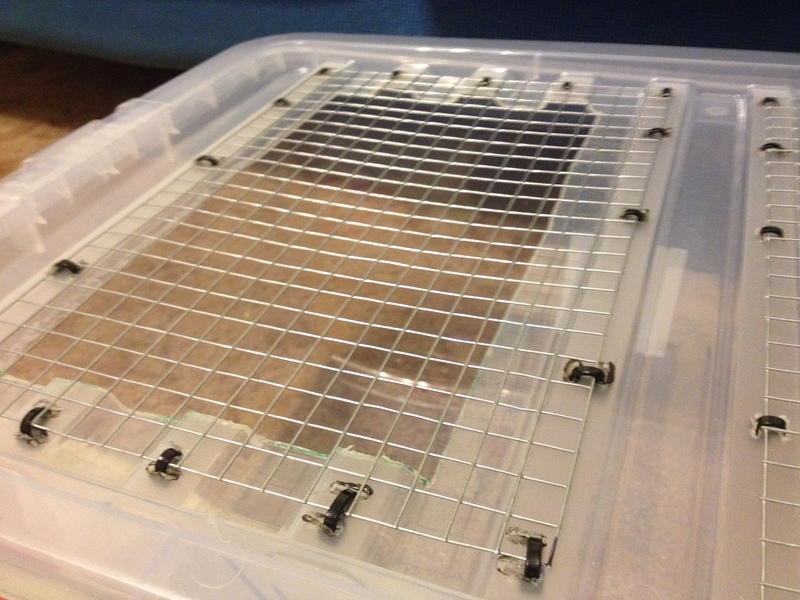 We have chosen to put the ventilation panels on the lid as this still allows for a deep layer of substrate for our robos, however you can use the same method to create panels in the sides of the storage box. Don’t throw away the plastic pieces you have cut out, these can be used to make platforms, check out the step by step guide here. 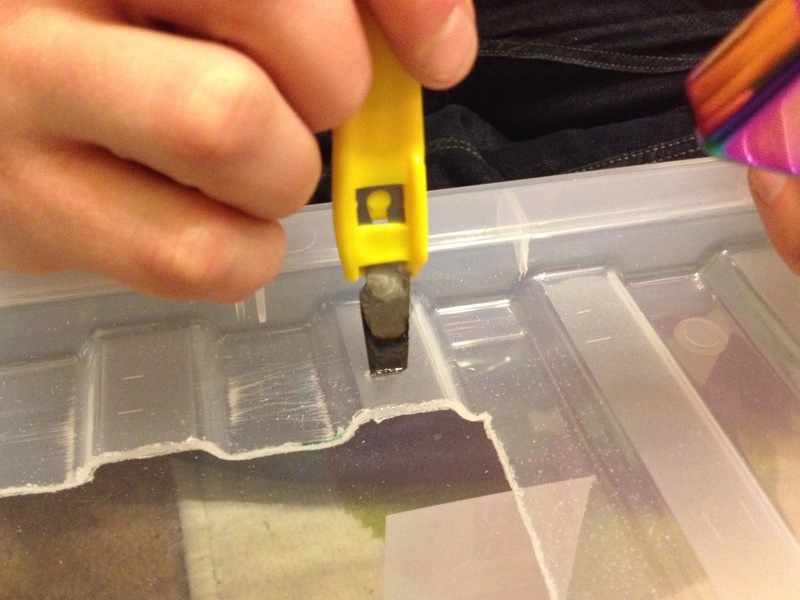 Use sandpaper to smooth all of the edges so that it is safe for your hamster. 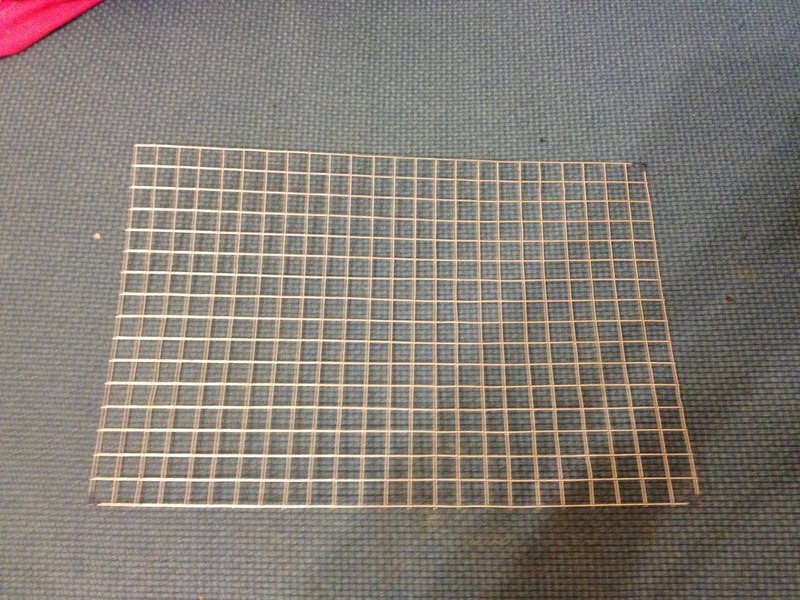 Measure and mark the correct size piece of wire mesh to fit the spaces that you just cut. 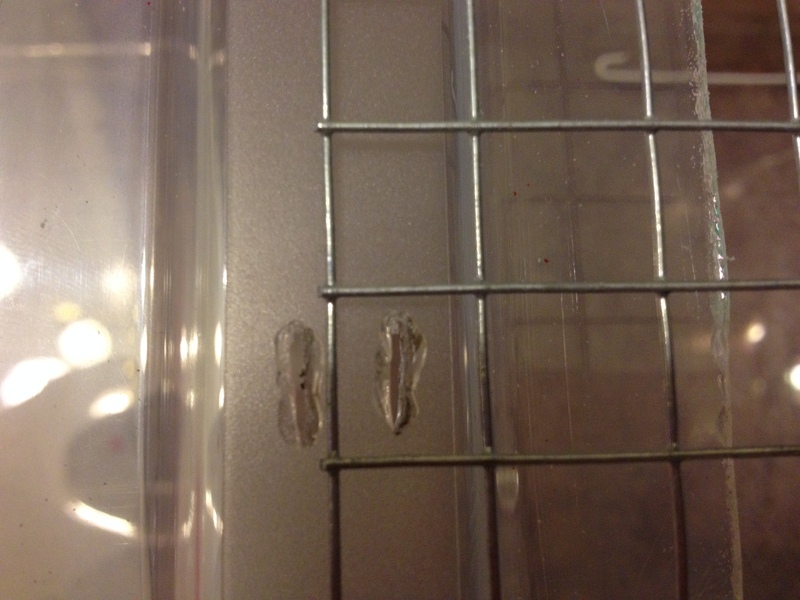 Make sure you overlap the wire mesh slightly to allow for the cable ties to secure to the storage box. 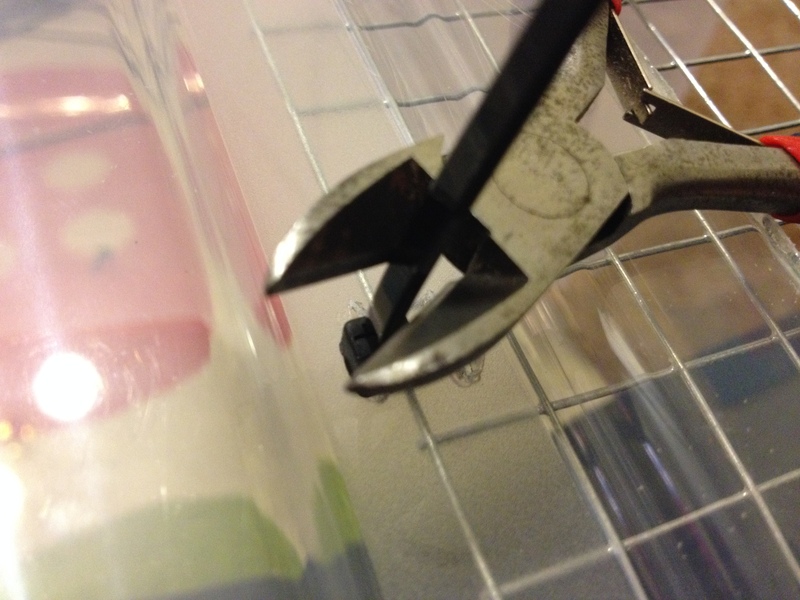 Using wire cutters cut the wire mesh to the desired size. Smooth over any rough edges to make it safe. 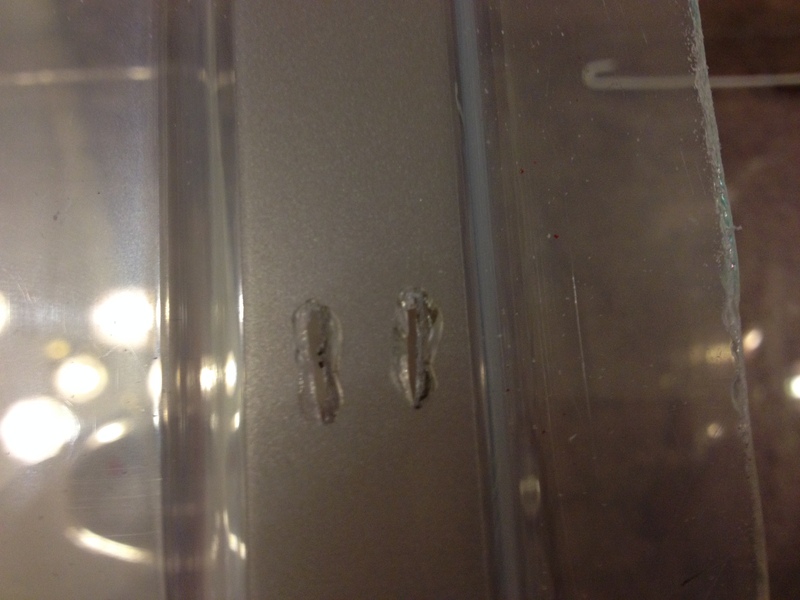 Using the heated knife, make little slits into the storage box around the edges of the panel. 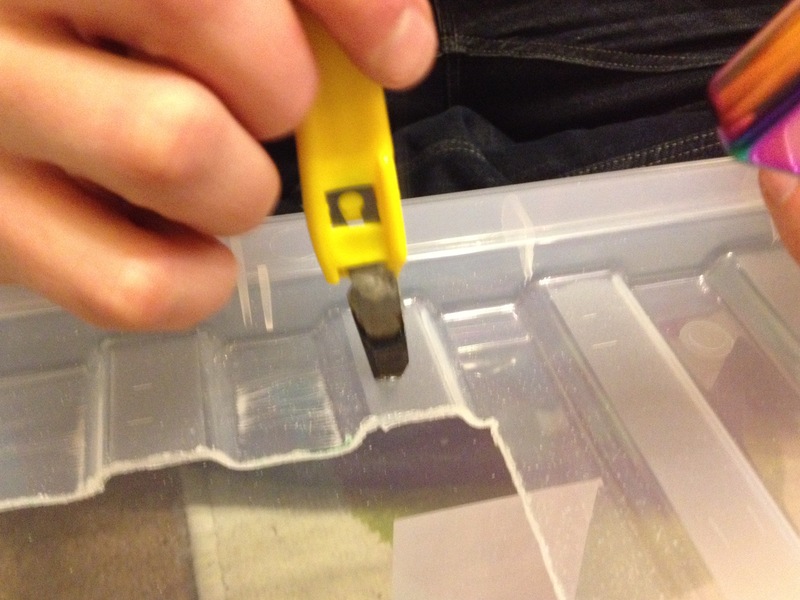 Gently wiggle the knife in the slit to widen it slightly (this is to make the cable ties fit easier). 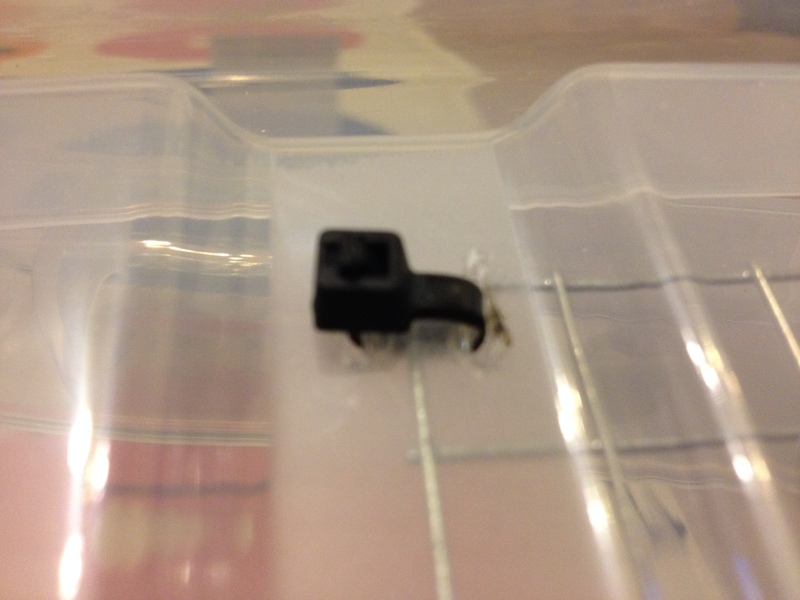 You want one slit just outside where the wire sits and one inside. 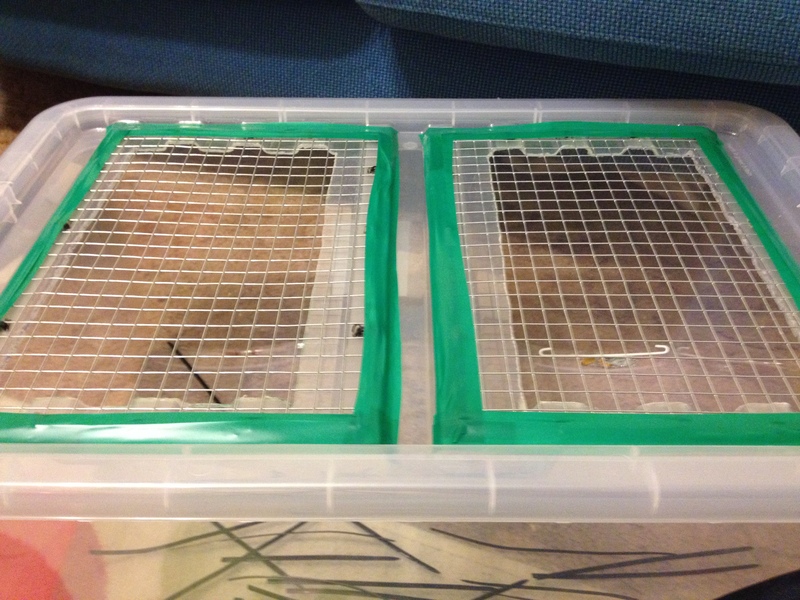 Continue this all the way around the panel/panels, making sure there are enough holes that the wire mesh will be really secure (I think that more is always better than less with this step, you don’t want your little hammy to escape, if in doubt always add one more). 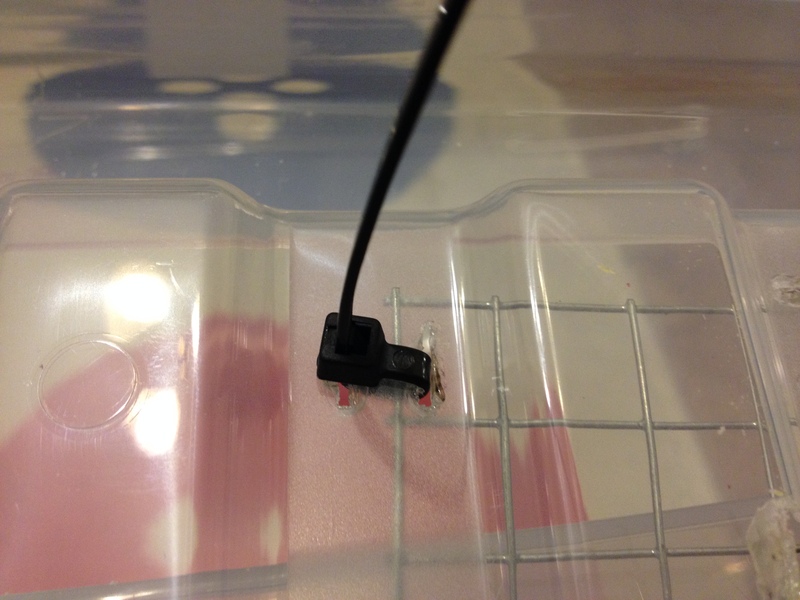 Use the cable tie to secure the wire to the storage box. Making sure that they are pulled tight and then cut away the excess to leave as small as possible. Repeat this all of the way around the panel/panels until fully secure. Smooth any rough edges of the cable ties with sand paper. Use duct tape along the outside of the panel to make it look more tidy. 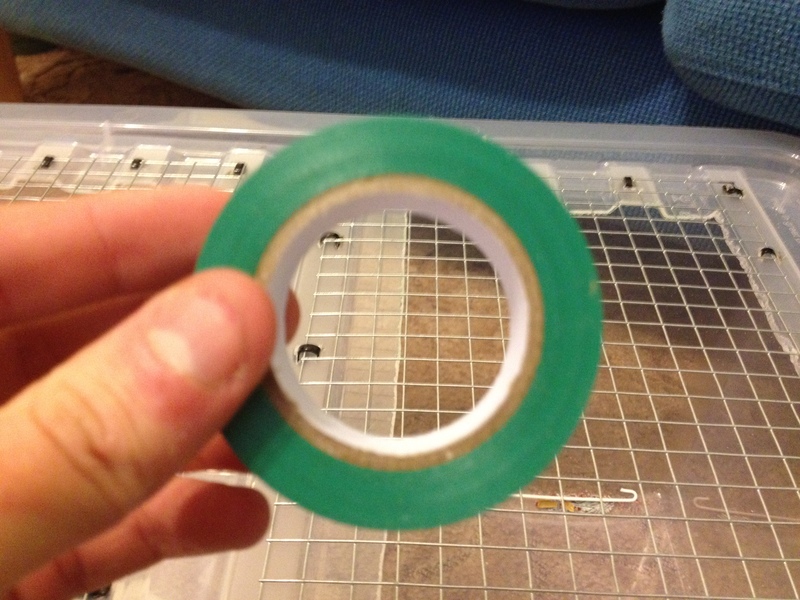 You can get fantastic colours and patterned tape on the internet to really let you personalise your hamsters cage. 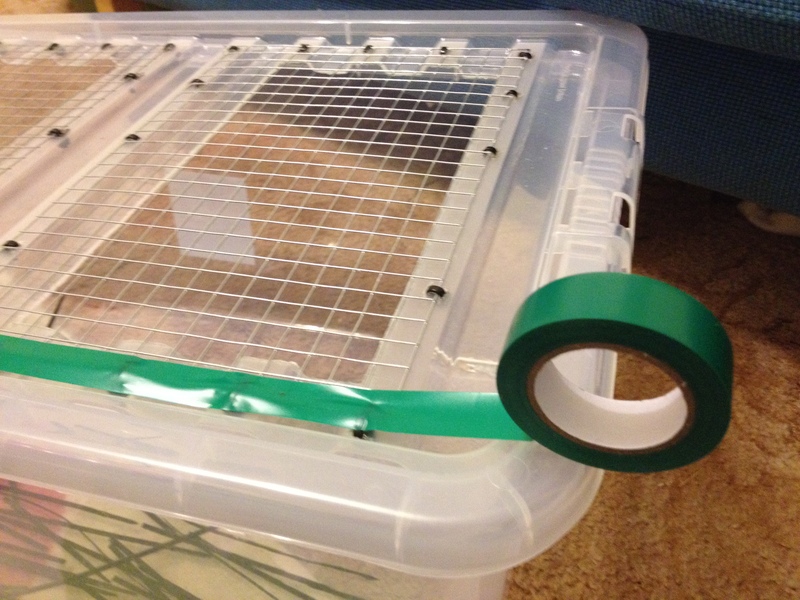 You can also change the tape to spruce up the cage or even to colour coordinate with your room. 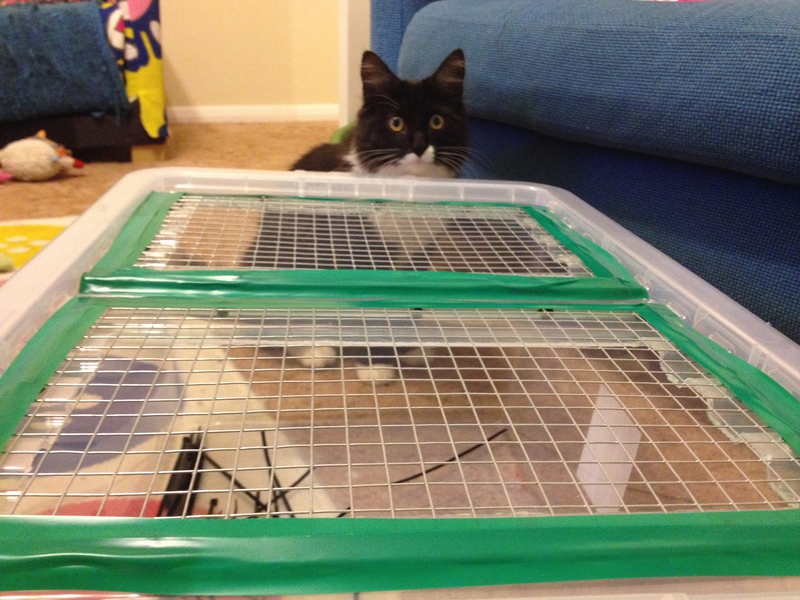 Yes Bane we are putting hamsters in here, but not just yet!! 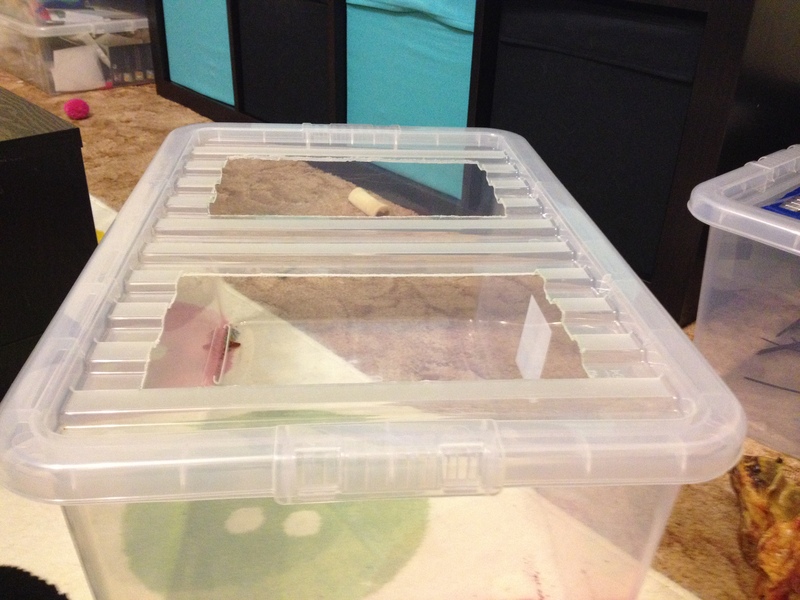 Step 7- Add water bottle Make a hamster cage. 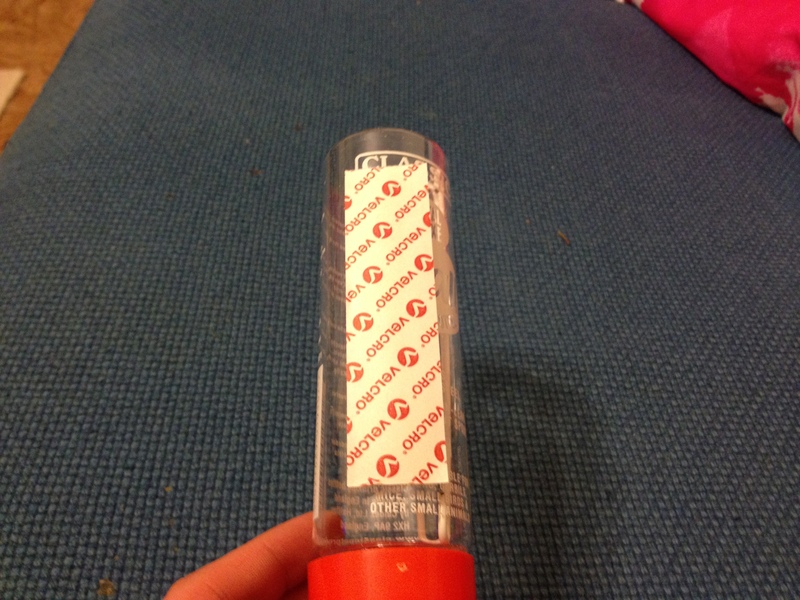 I find that the easiest way to add the water bottle is to use stick on Velcro. This can be ordered very cheaply on the internet. You can also buy water bottle cages that hook to the outside of the cage. You can use whichever you find easiest. I just find that the Velcro is cheapest for me. 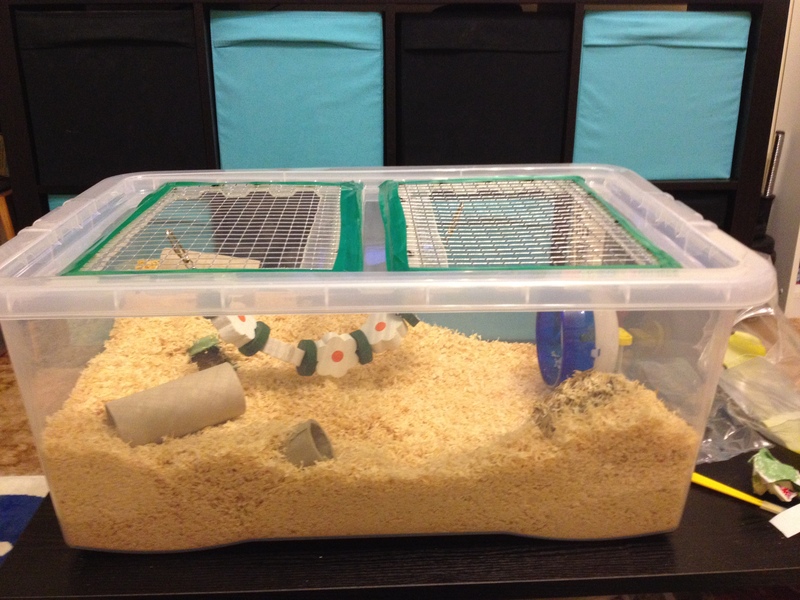 Set up the cage with the substrate and toys for your hamster, and your bin cage is complete! Anna and Elsa seem to enjoy their home!! 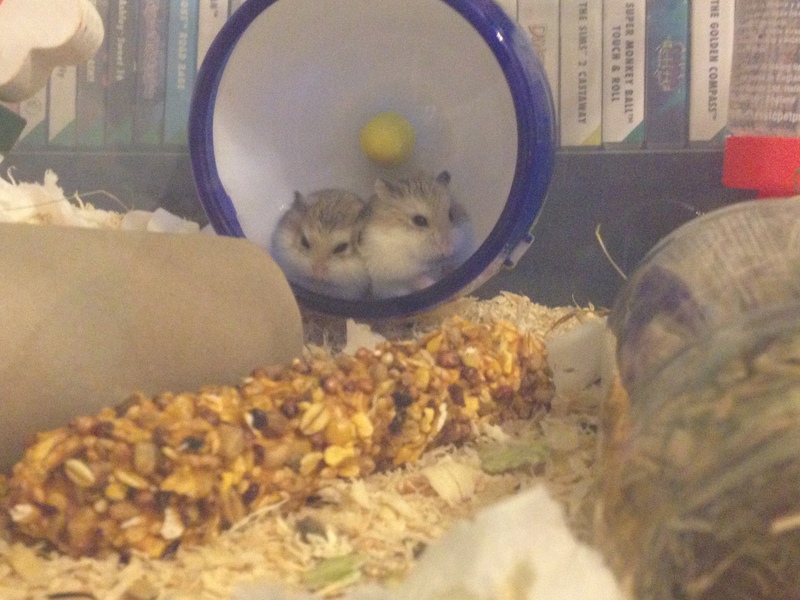 Happy hamsters! Where did you get that flower accessory? ?